A popular pub and backpackers business in the famous Melbourne bayside suburb of St Kilda is up for grabs in a multi-faceted investment opportunity. 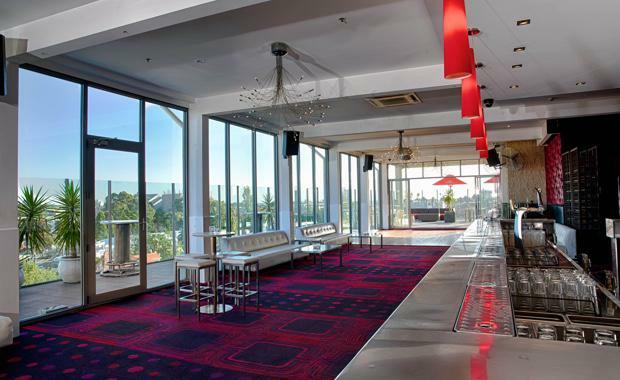 Colliers International’s Guy Wells and Will Connolly have been appointed to sell the Hotel Barkly leasehold business, which comprises a public bar, rooftop bar, basement bar/function room and the St Kilda Beach House – 11 boutique hotel rooms plus upmarket backpackers 24 dormitories. “Hotel Barkly has been a well-regarded entertainment venue for a number of years, with the Next Level rooftop bar particularly popular for private functions,” Mr Wells said. “The multi-faceted nature of the business benefits from multiple revenue streams. Situated in a high profile, busy corner location, Hotel Barkly is just 6km south of the Melbourne CBD in one of the city’s most popular tourism and retail precincts. “St Kilda is never ceases to be incredibly popular as an entertainment precinct and Hotel Barkly has been a mainstay of this area since being redeveloped some 10 years ago,” Mr Connolly said.